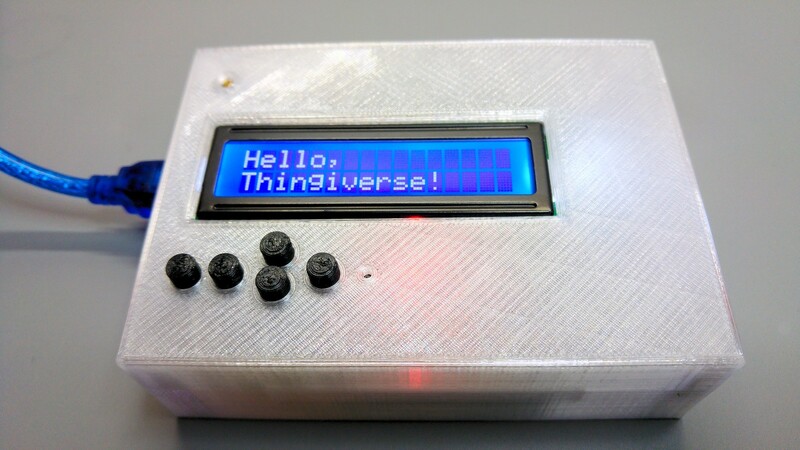 The case is designed for an Arduino Uno with a DFRobot LCD shield. Some extra space is reserved on one side to put some electronics in. A cable outlet is also included. So, just a simple case.